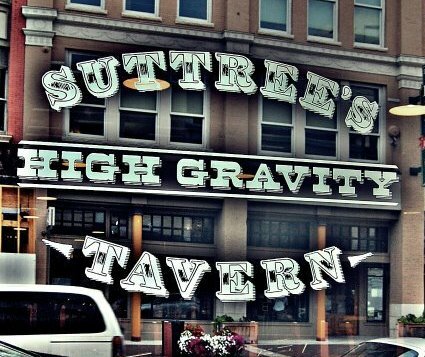 I had a feeling I would like Suttree’s High Gravity Tavern no matter how much it weighed. It turns out that high gravity refers to specialty craft beers that are nothing like mass produced light beers from the big breweries. 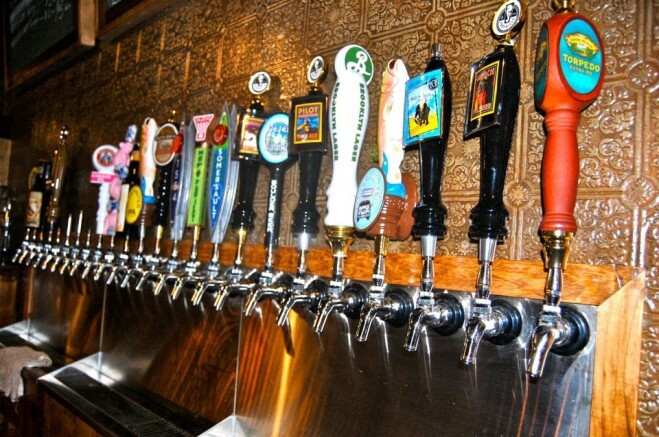 These beers have complex flavors, a wide variety of malts, and high alcohol content. These beers are meant to be sipped and savored. If you do chug them, you will be on the floor gazing at the pretty lights on the ceiling. 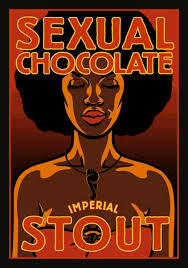 I ordered a glass of the Foothills Sexual Chocolate Stout without even sampling it. The bittersweet chocolate malted barley with a hint of molasses, combined with a great balance of hops, gave it a smooth taste in the mouth with a gentle, lingering taste of chocolate. If you can show some restraint, let it warm up to near room temperature and you will discover it is even better when it loses some of its chill. Let’s see a light beer do that! Another beer that is a must sip is the Red Brick Beard Envy Barley Wine. Trust me, it is a potent beer at 9.5% alcohol. It’s the strongest beer I tried. They serve it in an 8-ounce brandy snifter adding to the mystique of a sipping brew. This dark amber has a sweetness that made me think of toffee and caramel with a gentle finish. Go slow on this one. For those of you who like lighter beers, the Foothills Torch Pilsner was a beautiful golden color with a thick head of foam. The hop aroma led to a crisp taste with strong hop bitterness. It would be a great ale to enjoy on a hot summer day. On tap there are other beers with names that beg to be tried. Flying Dog Snake Dog I.P.A., Lagunitas Hairy Eyeball Ale, Highland Devil’s Britches I.P.A., Left Hand Nitro Milk Stout, and Turtle Anarchy Aurumglass are just a few of the ever-changing beers you could sample. I’d recommend ordering a flight of beers. This is a board with cutouts for four small glasses of beer that allows you to sample several without committing to a whole glass. Think of it as speed dating with beer. If you are feeling brave, ask a bartender to give you four of his choice. They know their beers! Bartenders will also provide a small single sample upon request. Suttree’s has a recently renovated kitchen and a new expanded food menu – a fusion of bar-b-q and Asian street food. In addition to the diverse beers, and the most unusual wavy bench I have ever seen, you can also dine and sip on Suttree’s pet-friendly front patio. Suttree’s High Gravity Tavern is the place to be this summer. Now, if you will excuse me, I’m going to enjoy another Sexual Chocolate on that surprisingly comfortable wooden wave.